Back in December 2015, my sister’s phone was pickpocketed. It was an old Galaxy S3. I, being the tech savvy of the house, she approached me and asked a very obvious question – “Which phone should I buy now?”She didn’t just come with the question. She had already made a list of phones she wanted me to choose from. Considering that she had just lost her phone, it was obvious that her parents won’t be buying her an expensive phone. 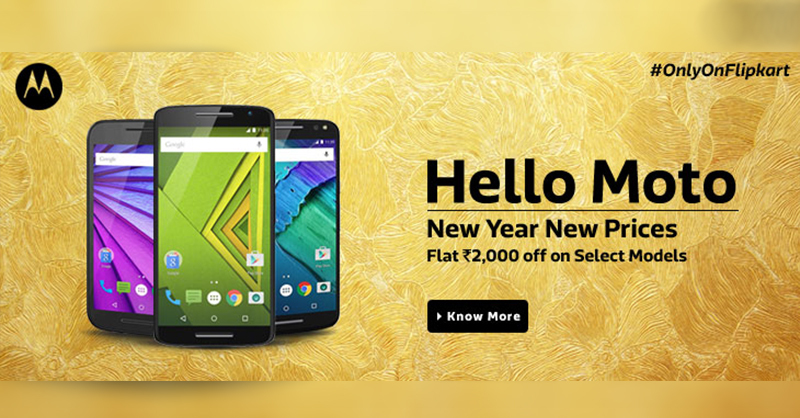 So her list went like this: Asus Zenfone 2, OnePlus X, Lenovo A6000 Plus, Xiaomi Redmi Note 2, Moto G3 and so on. 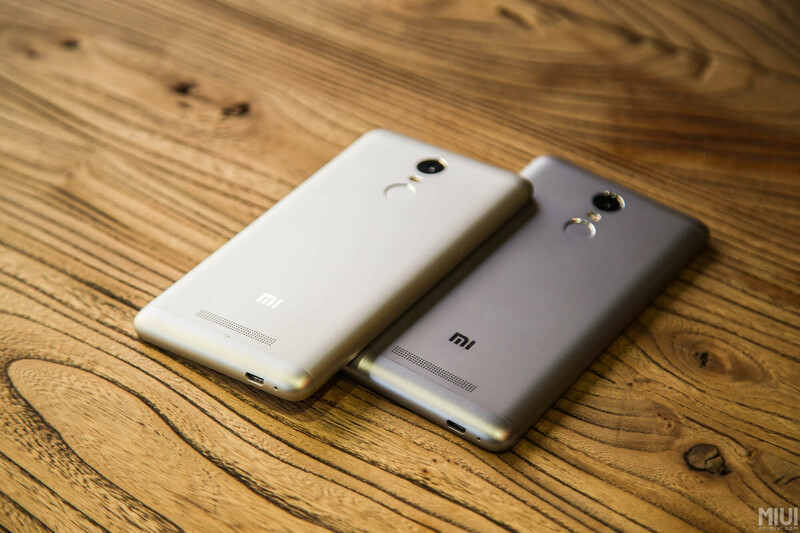 Today, Xiaomi proved me right as they announced their very impressive successor to Note 2 – Redmi Note 3. I was jumping with joy when the Mi India team brought the upgraded version of Redmi Note 3 here. 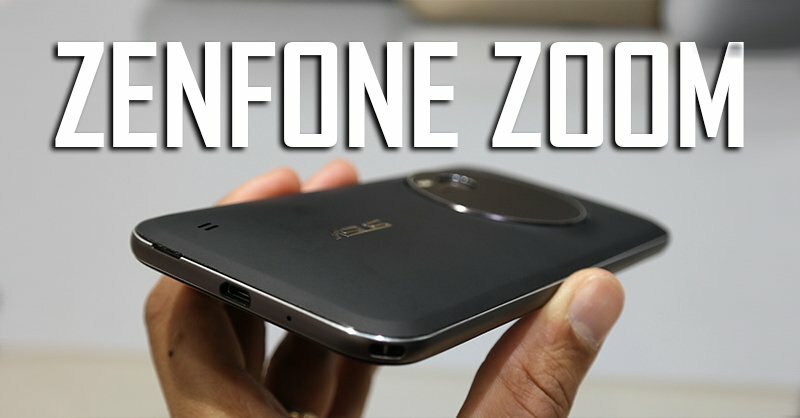 Previously it was only available in China and came with a Mediatek processor (read Meh processor). 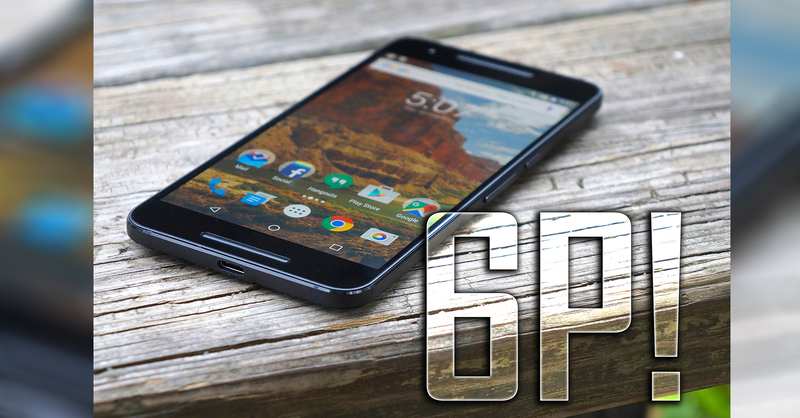 The phone looked average when it was launched in China back in November due to its subpar processor mostly. So, why was I excited for the India launch of the phone? Xiaomi came with what many call a “Pro” version of the phone. One glance on the spec sheet and you will know why so. The phone comes with a premium full-metal body, a fast fingerprint sensor, a Qualcomm Snapdragon 650 Hexa-Core Processor (4 cores clocked at 1.2GHz and 2 clocked at 1.8GHz), a 4050 mah battery (read oh my god, yes! ), and finally a full-hd IPS display. There is a 16 MP rear camera with phase-detection (the tech used by all top-end phones like the S-series and the iPhones) and a dual tone flash for low-light conditions. For the selfies lovers, there is a 5MP camera in front that will easily satisfy your selfies appetite. It comes in two variants – 16GB ROM & 2GB RAM and 32GB ROM & 3GB RAM. Looking at these specs, you know you are getting much more than you are paying for. This is because you are getting a very premium design which will look very good in your hands. Yes, the 5.5 inch screen is formed so that it fits in your hand comfortably. The company claims that the design offers an “irresistible feel”. I would say that the claim is not farfetched. Then there is the gigantic battery. The industry standard of devices of size 5.5 inches is around 3000MAh. I am looking at premium devices for this reference point like Galaxy Note 5. A 4050MAh battery is a little over 33% more capacity than the industry standard. I am not saying that we have never seen big capacity like batteries in 5.5 inch phones, but such a battery gives us a very positive projection of battery life. My sister will definitely love it. The dragon makes it’s way into the Note’s den: Originally the phone was launched with a mediatek processor but the “pro” version comes with a Qualcomm Snapdragon 650. The chipset can go as high as 1.8GHz clock speed and comes with a powerful Adreno 510 graphics processor. Leaving aside the technical jargon, this chip will be able to perform whatever you ask it to without any major hiccups. Talking about the camera, the image quality of the rear camera was a bit underwhelming. Images have a fair bit of noise in them, which coupled with the over-sharpening made them unpleasant to look at when zoomed right in. Dynamic range was also unimpressive and the camera frequently blew out highlights. The built-in HDR mode only helps boost shadows but does nothing for the highlights, so you just end up with an overall brighter image. There is also noticeable purple fringing around high contrast areas. Colors were good, however, and the overall detail, while not particularly noteworthy, was alright. The focusing is quick but quite often tends to miss the mark, which is usually hard to tell on the display while you’re shooting but something you notice later while looking at the image up close. Even then, the phone offers much so you can easily ignore the average performance of the camera. The phone has a hybrid dual sim slot where you can substitute a sim slot for a memory card reader. So the phone can be used either as a dual sim phone or a single sim phone with sdcard support. In addition to that, it comes with VoLTE support right out of the box. This might not mean much to you today, but VoLTE is the future of 4G, which makes this phone future proof. 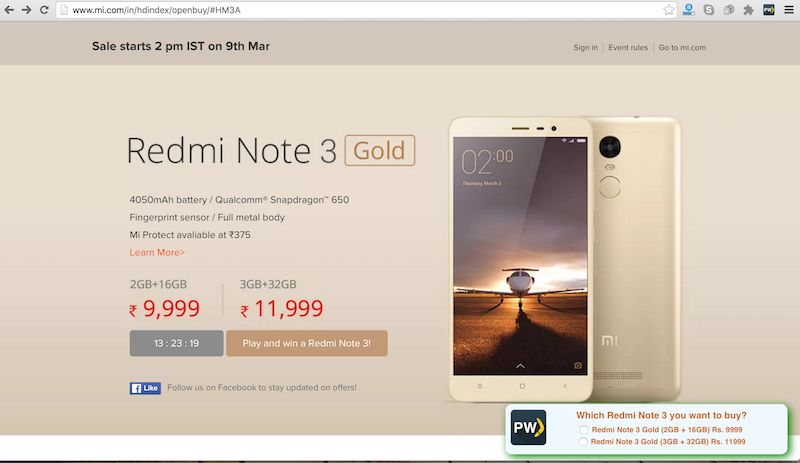 In the end, I would like to say that at the price points – Rs9999 for 16GB model and Rs11999 for 32GB model, the Redmi Note 3 is a real bargain. It will be available through a flash sale on 9th March 2 PM IST on Xiaomi’s official website – mi.com – so go there and register yourself for the sale just like I did. 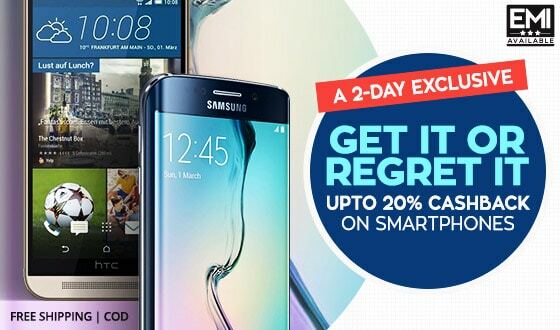 Auto Buy/ Auto Add To Cart Redme Note 3 by using Paisawapas Chrome Extension. Smartphones, cameras, laptops, latest OS and apps, all these things catch my eyes. I love to try out new technology as and when I can and learn about it when I can't.